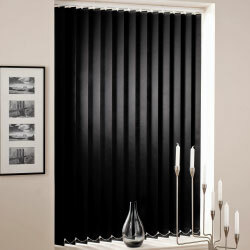 Complete made to measure Blinds service for clients in Suffolk, Essex and Cambridge. Roller blinds are incredibly popular and adaptable, offering a versatile shading solution suitable for any room, with high levels of privacy in a choice of pattern or plain coloured fabrics. 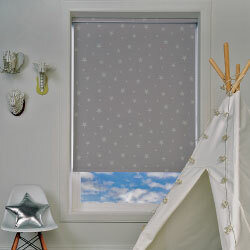 Roman blinds are the classic way of giving your window an elegant look that is bang on trend. Choose from a wide range of fabrics within our showrooms vast library. 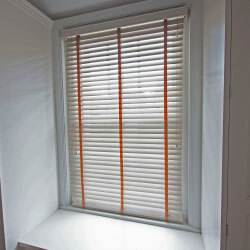 Venetian blinds are guaranteed to give you a clean, contemporary look and you can choose from a range of colours, wood effect and metal finishes, which will freshen up your room in no time. Pleated blinds are a practical way of dressing a functional window or door, where an elaborate roman blind or curtain is not appropriate. They give a functional window or door a sense of warmth by providing style in simplicity. 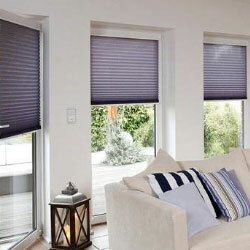 Vertical blinds are now more stylish and practical than ever before and are a great alternative to venetians. They give a smart and sophisticated look to any window whether in an office or in a bay window, from our range of contemporary designs to our classic ranges, we are sure to have something to suit you. 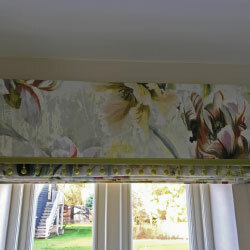 amor interiors hand make a large range of stylish made to measure Bespoke blinds. We offer a complete bespoke blind service for Roller blinds, Venetian blinds, Roman blinds, Vertical blinds, Pleated blinds and Panel Blinds which are bespoke handmade to your exact specifications. Amor interiors holds the largest fabric library in East Anglia which gives you the best choice of fabrics to choose from for your project large or small. The pattern books we stock include fabrics from Designers Guild, Colefax & Fowler, GP & J Baker, Jane Churchill, Linwood fabrics, Zoffany, Sanderson and many more. These are all available to be viewed in our design centre where our interior designers are always on hand with expert advice or the comfort of your own home by using our book borrowing service or posted fabric sample service. Interest free credit is available on our entire product range for single or multiple transactions over £300, see our 'finance options' page for details. amor interiors provide a complete interior design service and further services including Handmade curtains, pelmets, corner sofas, sofas chairs, reupholstery, headboards as well as flooring, wallpaper, paints, lighting and furniture. Our team of interior designers are here to help you with your blind requirements or any project, whether you are replacing curtains or require a completely new design for your home. We are always on hand with a warm welcome and expert advice.